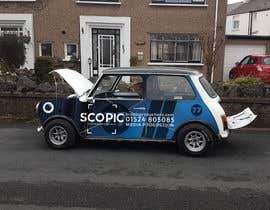 My company has an old classic White Rover Mini 1992. It has a black roof. I need it decaled up for promotion when im driving it...i want it to increase brand awareness of what we do but also look awesome and turn heads. 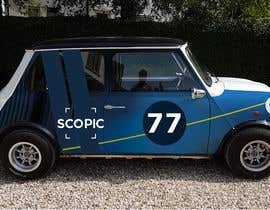 I would like someone to get a template of the mini back, front, roof and side and design where the decals should go. 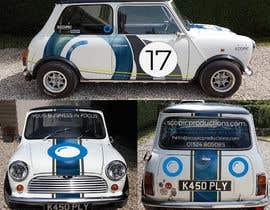 We want it to look like a racing mini so bear that in mind. It needs to have our logos and brand icon on. Our strapline/moto: 'YOUR BUSINESS IN FOCUS' needs to be included. Please see logos, brand images, icons, font files and brand guidelines attached. Get creative! This needs to look awesome. Our company does Video Marketing Strategy, Video Production, Video Hosting, Photography, Animation, 360 and drone work. 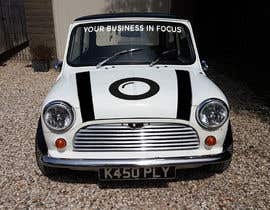 We would like to print the decals/graphics that you design to apply to the mini, so the size of the artwork will need to reflect this. Hello all, thanks for your patience, I have now uploaded the files. Please attach logos, brand images, icons, font files and brand guidelines..
and please upload a car photos front, back and side. your attachment not fond please upload a all supporting files.